I happened across the most gorgeous leafy celery at the farmers’ market a few weeks ago and decided it was time to share this recipe with you. I’ve made this appetizer several times since I found it in Deb’s new cookbook, Smitten Kitchen Everyday. The recipe caught my eye last winter because I love raw celery in salads. Vegetable platters have just about ruined celery for Americans, but it’s a different story in salads and the like. Celery is crisp, refreshing, affordable (buy organic, and it’s still affordable! ), and keeps well. Deb continued to reel me in with the mention of “Parmesan rubble.” You just take a fork to some Parmesan and break it into little pieces. Why didn’t I think of that? I had to try it, I love it, and it sounds like something cute from the Flintstone’s. I’m ignoring the elephant in this recipe, which is the olives. 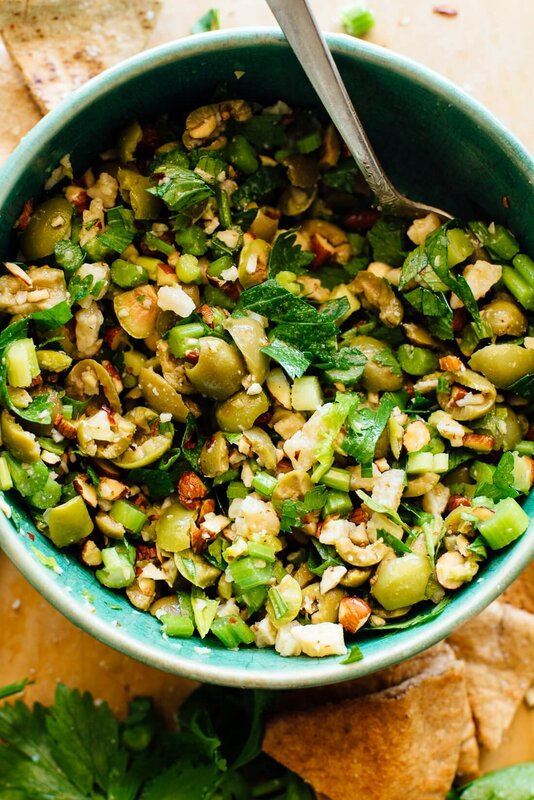 You’ll definitely need to enjoy or at least tolerate olives to get behind this recipe. No getting around that. However, when you add Parm rubble, celery, chopped toasted almonds, fresh garlic, vinegar and olive oil, the recipe becomes a lot more than a bowl of olives. It’s irresistibly briny, crisp, crunchy and fresh. Your friends are going to ask for the recipe. 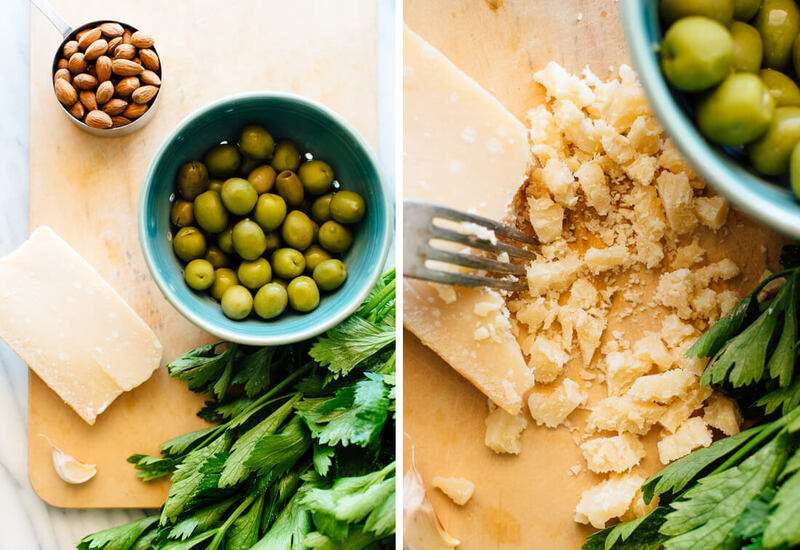 The post Torn Olives with Almonds, Celery & Parmesan appeared first on Cookie and Kate.